The Infatuation with "Positivity" and Doing "Good"
Much of my work focuses on the negative. Why? Because people are already focused and infatuated on the positives (positivity) at the expense of ignoring the negative (as if looking and learning about the negatives is negativity). Facing the problems in the world and ourselves isn’t something comfortable to do. It’s easier for us to keep doing what is comfortable and remain attached to it because it gives us what we want. We are automatically drawn towards things that “feel-good” both physically and psychologically. We are automatically repelled from things that feel-bad, or things that take us away from the things that “feel-good” to us. We consciously and subconsciously want what “feels-good”, and don’t want whatever it takes that away. What “feels-good” brings us comfort, security, and a sense of “well-being”. What “feels-bad” brings us discomfort, insecurity, and a sense of anxiety. Comfort and maintaining our current condition, is the path of least resistance where we don’t have to expend effort, energy, time, and work to learn and understand about the uncomfortable things in the world, or to change anything about it. Only paying and giving our attention to what makes us “feel-good” is like being lovestruck and infatuated with the positivity of the appearances we see as “reality” in our limited perception of what is happening in reality. We want to stay in that “feel-good” state with blinders on from wearing rosy-colored glasses. We induce a feel-good state by seeing what we want to see. We focus on the things that are positive and the things that we see as good. We are conditioned by a society that has much falsity and perpetuates aspects of evil or negative behavioral manifestations that harm others. Evil hides within a veil of good. Through the conditioning into falsity we are immersed in the appearance and illusion of “good” and “order”. We focus on maintaining those appearances, yet we don’t look into understanding what good and order truly is. We continue to ignore the evil and chaos going around because it makes us feel bad, not “feel-good”. We don’t learn about the negative, evil or chaos in order to see those manifestations in our lives. We become infatuated with being “positive” and doing “good” so that we can all get along, but we’re not stopping the negative and evil. Trying to expose the negative or evil in the world, is met with denial or even hostility and most see that as “negative” and they don’t like the conflict. Attempting to create good while we still create evil in our ignorance, denial and refusal to look at ourselves and the world honestly, only keeps us locked into confusion, counterproductivity, and inconsistency that will not work. In order for something good to truly and fully work, evil must be faced and then stopped. Focusing on creating something good, at the cost of ignoring evil, will allow that evil to continue. Imagine being in an abusive relationship, yet not being able to see that that is what is happening and be in denial about it. Imagine that all you want to see is the positive in another, because you don’t want to face the reality of the negative that is going on. So you keep up a positivity mask and look at things with rosy-colored glasses in order to live in an illusory bubbles of reality. If others tried to make you aware of your current condition while you continue to remain in denial and in rejection of facing the negative in your life, you’ll never be able to admit that there is negative in your life and that you are in an abusive relationship. 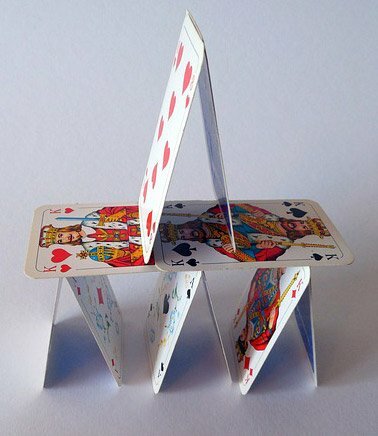 If we attempt to build something good upon a false foundation due to our ignorance of the current condition in reality, that faulty foundation can eventually erode and collapse, and our attempt to construct good will fall like a house of cards because it is built upon an illusion. Alternatively, if the good does not crumble away from being built upon falsity, those who do evil will seek to consume that good into furthering the agenda of evil. This is where there are masks of good, masks of positivity, that by default have us accept the evil through a refusal to face the negative. Then the evil persists under the guise and illusion of “good and “order”. Those of us who are unaware and do not understand what is evil, immoral, wrong, negative, etc., will not be able to do anything to stop it because we can’t even see it. There are many things that are created for good, but then get co-opted by those who perpetuate and create evil into the world. We believe things are “good”, “right”, and “ordered”. We are infatuated with the appearances, but don’t see the substance of the hidden wrongs all around us. As long as we continue to live in fear of facing the negative, wrong, immorality and evil all around us, we aren’t going to truly get where we want to go. Some people think that doing good balances out doing evil. Do you really think that doing evil with your left hand and washing it with your right hand will work to produce the results you want? All this does is mask the evil and negative in the world so that we have trouble seeing and understanding it for what it is. This is what creates artificial images and appearances of “goodness” that we think are a true reflection of our society or ourselves. 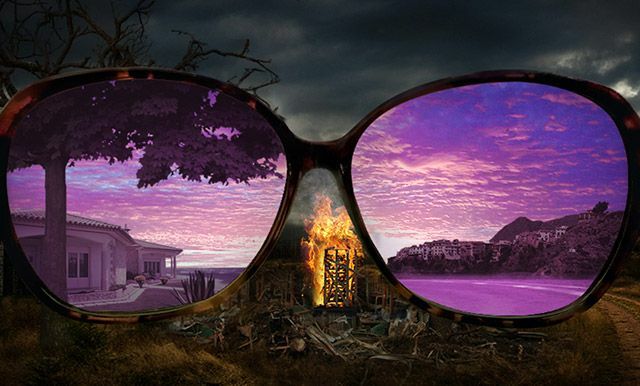 Living through a positivity mask or rosy-colored glasses to actively focus only on one aspect of reality will only serve to blind us to what is going on, and limits our potential to greater, higher, truer and realer self-actualization and self-realization of the good we can actually create into the world if we face and understand the evil. Only through the knowledge of what is wrong, immoral, evil and negative that we or others create, can we ensure that we or others do not continue to create such negative manifestations in the world. Care for truth, and seek to learn the truth of the falsity and negative in the world around us. There is no requirement to do good or be glowingly positive in order to set the world right. The ONLY thing that is required to set things right, is for people to NOT create evil and negative manifestations in the world. That automatically sets things right and good. We can always improve upon that default neutral position as well, to actively create positive good. Developing the care, courage and willpower to face reality and ourselves honestly is required in order to bring about a better way of life for ourselves, others, and the world. Kris, 30+ years ago you didn’t need to spell this out for people. Thanks to pop-psychology and bad ideas since then, it’s become a necessary evil to explain sane thinking to people. Thanks for this article. Hehe, I was only just born then so I can’t relate to the state of things then. Yeah, It’s sad that post-modernism, solipsism and subjectivism has warped human thinking and popularized pop-psychology of fantasy thinking 🙂 Thanks for the feedback.